Arnhem or ( [ˈɑrnɛm] or [-ɦɛm]; German: Arnheim, West Frisian: Arnhim, South Guelderish: Èrnem) is a city and municipality, situated in the eastern part of the Netherlands. It is the capital of the province of Gelderland and located on both banks of the rivers Nederrijn and Sint-Jansbeek, which was the source of the city's development. Arnhem had a population of 151,356 in 2017 and is one of the larger cities of the Netherlands. The municipality is part of the city region Arnhem-Nijmegen, which has a combined 736,500 inhabitants. Arnhem is home to the Hogeschool van Arnhem en Nijmegen, ArtEZ Institute of the Arts, Netherlands Open Air Museum, Royal Burgers' Zoo and National Sports Centre Papendal. The oldest archeological findings of human activity around Arnhem are two firestones of about 70,000 years ago. These come from the stone age, when the Neanderthals lived in this part of Europe. In Schuytgraaf, remnants of a hunters camp from around 5000 BC have been discovered. In Schaarsbergen, 12 grave mounds were found from 2400 BC, which brought the so-called Neolithic revolution to the area of Arnhem, i.e., the rise of the farmers. The earliest settlement in Arnhem dates from 1500 BC, of which traces have been found on the Hoogkamp, where the Van Goyenstraat is currently located. In the inner city, around the Sint-Jansbeek, traces of settlement have been found from around 700 BC, while the first traces south of the Rhine have been found dating to around 500 BC, in the Schuytgraaf. Though the early tracks of settlements did show that the early residents of Arnhem descended from the forests on the hills, Arnhem was not built on the banks of the river Rhine, but a little higher along the Sint-Jansbeek. Arnhem arose on the location where the road between Nijmegen and Utrecht/Zutphen split. Seven streams provided the city with water, and only when the flow of the Rhine was changed in 1530, was the city located on the river. Arnhem was first mentioned as such in 893 as Arneym or Arentheym. In 1233 Count Otto II of Guelders from Zutphen, conferred city rights on the town, which had belonged to the abbey of Prüm, settled in, and fortified it. Arnhem entered the Hanseatic League in 1443. In 1473, it was captured by Charles the Bold of Burgundy. In 1514, Charles of Egmond, duke of Guelders, took it from the dukes of Burgundy; in 1543, it fell to the emperor Charles V. As capital of the so-called "Kwartier van Veluwe" it joined the Union of Utrecht during the Eighty years war in 1579. After its capture from the Spanish forces by Dutch and English troops in 1585 the city became part of the Republic of the Seven United Provinces of the Netherlands. The French occupied the town 1672–74. From 1795 to 1813, it was reoccupied by the French, by both revolutionary and imperial forces. In the early 19th century, the former fortifications were almost completely dismantled, to give space for town expansion. The Sabelspoort (Sabresgate) is the only remaining part of the medieval walls. In the 19th century, Arnhem was a genteel resort town famous for its picturesque beauty. It was known as "het Haagje van het oosten" (The Little Hague of the East), mainly because a number of rich former sugar barons or planters from the Indies settled there, as they did in The Hague. Even now the city is famous for its parks and greenery. The urbanization in the north on hilly terrain is also quite unusual for the Netherlands. In the Second World War (1939–1945), during Operation Market Garden (September 1944), the British 1st Airborne Division, under the command of Major-General Roy Urquhart, and the Polish 1st Independent Parachute Brigade were given the task of securing the bridge at Arnhem. The units were parachuted and glider-landed into the area on 17 September and later. The bulk of the force was dropped rather far from the bridge and never met their objective. A small element of the British 1st Airborne, the 2nd Parachute Battalion under Lieutenant Colonel John D. Frost, managed to make its way as far as the bridge but was unable to secure both sides. The British troops encountered stiff resistance from the German 9th and 10th SS Panzer Divisions, which had been stationed in and around the city. The British force at the bridge eventually ran out of ammunition and was captured on 21 September, and a full withdrawal of the remaining forces was made on 26 September. These events were dramatized in the 1977 movie A Bridge Too Far. 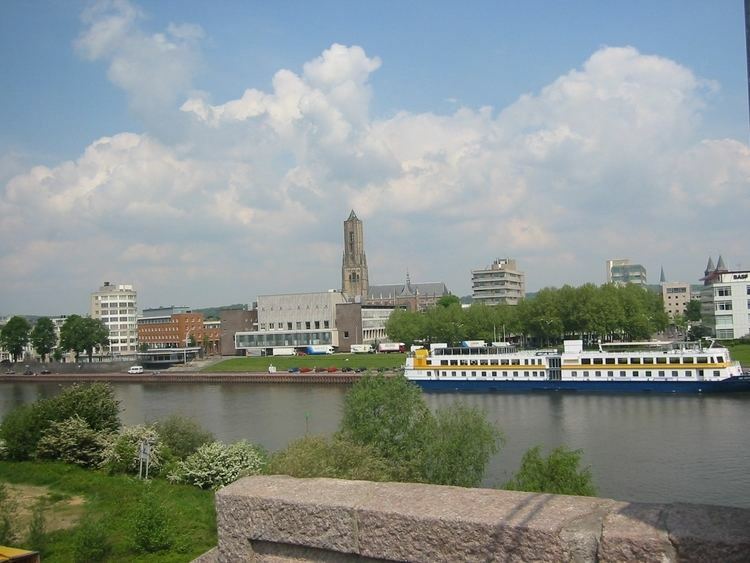 (The bridge scenes in the movie were shot in Deventer, where a similar bridge over the IJssel was available, as the area around Arnhem bridge had changed too much to represent WWII-era Arnhem). As a tribute, the rebuilt bridge was renamed 'John Frost Bridge' after the commander of the paratroopers. The official commemoration is 17 September. The current bridge is the third almost-identical bridge built at the same spot. The Dutch Army destroyed the first bridge when the German Army invaded the Netherlands in 1940. The second bridge was destroyed by the United States Army Air Forces shortly after the 1944 battle. A second battle of Arnhem took place in April 1945 when the city was liberated by the British 49th (West Riding) Infantry Division fighting as part of the First Canadian Army. Just outside Arnhem, in the town of Oosterbeek the Commonwealth War Graves Commission built the Arnhem Oosterbeek War Cemetery which contains the graves of most of those killed during the September landings, and many of those killed in later fighting in the area. Through the ages, the area of Arnhem has been known by various names, both official and unofficial. The name Arnhem comes from Arneym, much earlier Arentheem, and originally derived from Latin Arenacum. The Dutch name literally means "home of the eagle" (arend means eagle in Dutch) and stems from the many eagles that used to inhabit the hills and the woods of Arnhem. The name Arneym is first mentioned in 893 by the monastery Sint-Salvatorabdij. The name Arenacum, the first mention of the area which became known as Arnhem, comes from the Roman era and means "with eagles". Èrnem is the name of the city in the local dialect, South Guelderish. In everyday life, the name is not often used by the inhabitants of Arnhem, who seldom speak with the Arnhemian accent/dialect any more. This accent is now mainly confined to the working class areas. Arnheim is the German name for Arnhem; it more clearly refers to the origin of the name (heim = home). 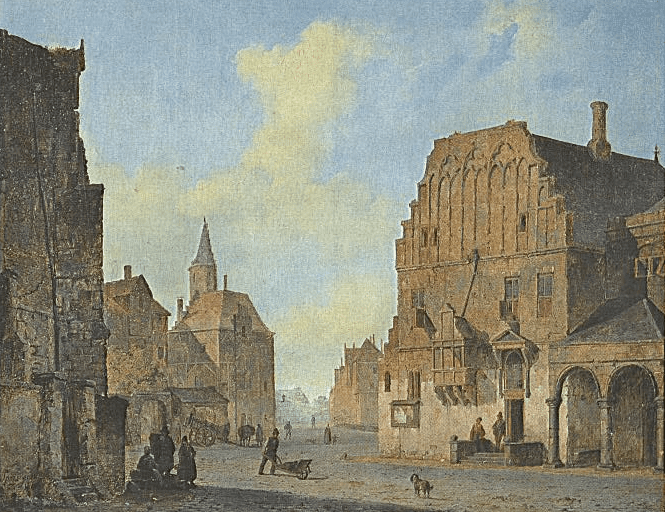 In the second half of the 19th century, Arnhem was an elitist city and therefore was sometimes called The Hague of the east of the Netherlands. The image of Arnhem on the Rijn, with green forests in the background, has always been a much-loved theme of painters. Besides that, Arnhem has many parks. This has earned Arnhem the name Green city on the Rhine (from the 17th century) or Park City (from the 19th century). Around 814 there is a written reference to Meginhardeswich, which is now, as the present-day Meijnerswijk, part of Arnhem. In 847 it was plundered by the Vikings. When the Romans came to the Netherlands c. 50 BC, the area around was called Oppidium Arnoldi Villa. The settlement itself was called Arenacum. Topographic map image of Arnhem (city), September 2014. The Grote Kerk (St. Eusebius), built 1452–1560, lost most of its tower during World War II, of which a part has been reconstructed to a modern design and opened in 1964. Officially the tower is not part of the church and is owned by the municipality. The house of Maarten van Rossum, a general serving Duke Charles van Gelre, has been the town hall since 1830: The satyrs in its Renaissance ornamentation earned it the name Duivelshuis ("devil's house"). The Netherlands Open Air Museum is located outside the city. It includes antique houses, farms, factories, and windmills from different parts of the Netherlands. Two other windmills stand in Arnhem itself, De Hoop and De Kroon. Burgers' Zoo is one of the biggest and most-visited zoos in the Netherlands, featuring an underwater walkthrough, desert, mangrove, rainforest, etc. The Gelredome, the home of Vitesse Arnhem, the city's Eredivisie team in football, is a unique facility that features a retractable roof and a slide-out grass pitch. The concept has been fully duplicated since then by the Veltins-Arena in Gelsenkirchen, Germany, and the University of Phoenix Stadium in Glendale, Arizona, USA, and partially by the Sapporo Dome in Japan (which has a sliding pitch but a fixed roof). The KEMA Toren (formerly known as SEP Control Tower) is the highest structure of the town. It is a 140-m-high TV tower. Sport in the city is principally focussed on its association football club Vitesse Arnhem. Arnhem was the host city for the 1980 Summer Paralympics. Arnhem has a main central railway station since 1845 – Arnhem Centraal railway station, which is serviced by several intercity lines and the ICE to Düsseldorf and further on to Frankfurt. Nowadays, there are also NS Hispeed trains to other destinations abroad, with some coaches going as far as Moscow. The intercity lines provide direct connections to Utrecht, Nijmegen, and Zutphen. It is also the terminus for several local railway services. Arnhem has three other stations, namely Arnhem Velperpoort (since 1953), Arnhem Presikhaaf (since 1969), and Arnhem Zuid (since 2005). KLM Royal Dutch Airlines operates a bus from the train station to Schiphol Airport for KLM customers. Arnhem is unique in the Netherlands with its trolleybus system. Graphic artist M. C. Escher moved to Arnhem when he was five and spent most of his youth there. Dutch/British actress Audrey Hepburn attended Arnhem Conservatory during the war years 1939–45. Arnhem was the birthplace of physicist and Nobel Prize laureate Hendrik Lorentz in 1853. Cirque du Soleil artist (Love, 2006) Goos Meeuwsen was born in Arnhem. The English poet Sir Philip Sidney died in 1586 in Arnhem. Dutch water polo player Rik Toonen, winner of Olympic bronze in 1976, was born in Arnhem. The film comedian Truus van Aalten was born in Arnhem in 1910. Arnhem was the place of death of the architect Jan van der Jagt. Arnhem is the name of a march composed by A.E. Kelly. 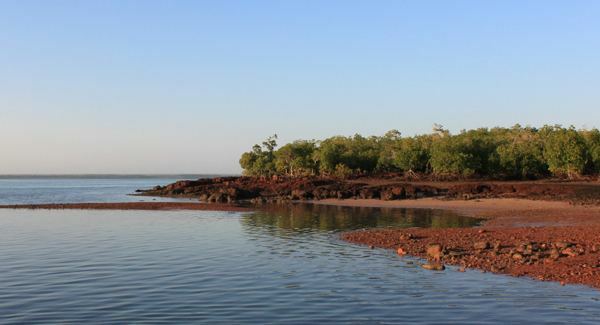 Arnhem Land in Australia is named after the VOC-ship Arnhem. Arnhem features the same climate (Cfb, oceanic climate) as all of the Netherlands, however, its location on the foothills of the Veluwe, the largest forest in the Netherlands, contributes to some higher precipitation values.